Comprehensive Cancer care can be used as supplemental ("adjuvant") therapy along with conventional cancer treatments. Comprehensive Integrative Cancer therapy also includes evaluation and counseling on Nutrition for support of the immune system, and techniques from Mind-Body Medicine for healing of the body, the mind, and the deeper dimensions of Being. All of this makes up comprehensive cancer care. Mind-Body Medicine for focused Self-Healing. The National Cancer Institute has acknowledged a combined treatment approach. Cancer does not develop in an otherwise healthy human body, Homeopathically referred to as a "Healthy Terrain." Our solution-oriented approach to this reality includes advice about the food that you eat. There are valuable benefits for all patients from working conscientiously on the nutritional biochemistry. In addition to some basic changes in common dietary intake, we create a program of nutritional recommendations specific for our patients as individuals. These recommendations are based on testing using a personalized Metabolic Assessment that provides specific dietary do's and don'ts for you. This testing also provides guidance on optimal nutritional supplementation for you as an individual. Our clinic pharmacy offers only first quality, pharmaceutical-grade nutritional and Orthomolecular vitamin, mineral, nutraceutical, adaptogens and herbal supplements. Our on site pharmacy stock comes from ethical international Nutraceutical manufacturers using exclusive formulas and pharmaceutical grade raw materials, FDA approved ethical herbal suppliers, both U.S and international, and FDA approved, ethical American and European (German, French, Dutch, Belgian) Homeopathic pharmaceutical manufacturers. "Mens sana in corpore sano" is Latin for "A healthy mind in a healthy body." There are valuable benefits for all patients from working conscientiously on the mind-body aspect of their disease. The nutritional part targets the healthy body, and Mind-Body medicine the healthy mind and Spirit. This is a large field of endeavor, it is a very new one to most people, and it is challenging. Ongoing counseling and monitoring is provided to inspire your own participation in your personal work with these new things. Specific practices include Traditional Five Element Acupuncture and - basically - an invitation to honest introspection and decision making about the overall quality of your life, past, present and future. Mind-Body medicine is profoundly solution-oriented. In the face of serious illness, the ultimate challenge facing you is to discover that power within you to transform your own experience of living... and even of Life itself. In Homeopathic Integrative therapy, the tumor or seed and the patient terrain or soil in which the tumor grows and spreads are equally important in treatment and prevention. Correcting acid-base pH, metabolic and Oxidative imbalances and strengthening the Terrain is as important in the Homeopathic approach as treating the cancer itself. Homeopathic Cancer therapy also follows the European approach of enhancing natural immune defenses using Detoxification, Nutrition and Metabolic Support to stimulate self-healing. Comprehensive Homeopathic Integrative Cancer therapy also focuses on "debulking" the tumor mass whenever possible, but Nutrition Support (Diet, Enzymes, Vitamins), Immune Support (Herbs, Orthomoleculars), Regulation Support of the Neuro-Endocrine-Vegetative body systems (Acupuncture, Bio-Resonance Feedback), Spiritual Support, Metabolic Support) and Detoxification (Acupuncture, Herbs, Chelation therapy, Homeopathics, etc.) are also used. In Homeopathic Integrative Medicine the Person as well as the "dis-ease" is treated. I have been diagnosed with cancer, would IV Vit C work for me? No one can guarantee the IV VIT C will work for you. Our physicians believe it works in conjunction with chemo or radiation for people in the early stages. Ideally the patient can also follow a strict diet and take oral supplementation. They do not recommend it as a stand alone treatment nor do they recommend it as a last effort treatment for folks in the late stages of cancer. Our physicians can not consult any patient who has decided to forgo chemo or radiation for Iv Vit C. The protocol they provide is a general protocol for most cancers. My child has been recently diagnosed with cancer. Can my child get IV Vit C infusions? Our physicians do not treat any patient under the age of 18. It is very hard to determine correct dosage amounts for small children. 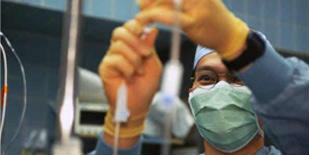 At this time Our physicians have found NO contraindications to giving IV C with any chemo if their protocol is followed. Additions to their protocol are not recommended. The only chemo that Iv Vit C should not be given in conjunction with is methotrexate because of urine pH requirements. Also a GDPD test must be done before any infusions are given. What is a G6PD blood test and why should I get the results from that test before I start any IV Vit C infusions? People that have a G6PD deficiency which is an inherited condition in which their bodies don't have enough of the enzyme glucose¬6¬ phosphate dehydrogenase (G6PD) which helps red blood cells (RBCs) function normally should not be administered IV Vit C treatments because it can cause hemolytic anemia. Our physicians require that a G6PD test be done and results be back before anyone starts the Iv Vit C treatments. My oncologist or radiologist thinks that the IV Vit C may reduce the effectiveness of my chemo or radiology treatments, is this true? No, that is a medical myth. Our physicians believe there is no reduction of effectiveness of the chemotherapy or radiation when giving IV C the same day. In addition, IV C is not an antioxidant ¬it is a pro-oxidant and therefore seems to augment the effectiveness of chemotherapy or radiation. Our physicians always give it on the same day with chemo and/or radiation. How do I get IV Vit C infusions? They are administered at our center. Many doctors that do chelation will be open to administering Iv Vit C. It is very rare for an oncologist to actually give the Vit C infusions as well as chemotherapy so one must find an integrative physician who is willing to administer the Iv Vit C infusions. Fastest route would be to get an okay from your oncologist to incorporate the IV Vit C infusions into your treatment and then find an integrative medicine physician who is willing to do the IV Vit C infusions . Can your office help me find a doctor in my area that will do the IV Vit C Infusions? No, we unfortunately can not provide that type of service. We recommend contacting The American College for Advancement in Medicine (ACAM) to find an integrative medicine doctor in your area. You can call their Physician Referral Hotline 1¬888-439¬6891 or go to their website at www.acam.org. ACAM is a not¬for-profit medical society dedicated to educating physicians and other health care professionals on the latest findings and emerging procedures in preventive/nutritional medicine. Many of the doctors may do the Iv Vit C already or would do it for you after they request the protocol from our office. 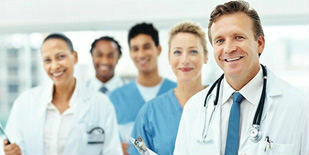 ACAM represents more than 1,000 integrative physicians in 30 countries. How do I convince my oncologist to let me do the IV Vit C infusions? Because the IV Vit C infusions are still in the experimental stage and not FDA approved sometimes it is very hard to get the oncologist on board. Providing them with the contents of the IV Vit C information packet is a great step. Please remember that diet and supplementation also provide a large role in the treatment and both doctors highly recommend the book “Beating Cancer with Nutrition” by Patrick Quillin. Patients are highly discouraged to attempt to get the Iv Vit C if the oncologist is not on board with the treatment. In fact we ask patients to sign a waiver stating that their oncologist is indeed aware of the treatment and have given their blessing to proceed. How often and for how long do I do the IV Vit C infusions? Patients are started out at a low dosage and work their way up to therapeutic level. Once at therapeutic level the infusions will take between 2 1/2 -3 hours depending on your individual saturation point (this is detailed in the protocol we provide to medical professionals only). Normally the infusions should be done twice a week but for some it is three times a week. Our physicians usually have patients get the infusions at therapeutic level for a year and then reevaluate. Of course if there seems to be no initial benefit such as your tumor markers continue to go up the infusions may need to be stopped sooner. I started the IV Vit C and my tumors markers are continuing to go up, is IV Vit C causing the cancer to spread? No. Our physicians says because the IV VIT C is working as a chemotherapeutic agent it also may not be working for you just like certain types of chemo may not work for you. Also if you are missing any components of the protocol such as diet and oral supplements the IV Vit C may not be working. I smoke or I am continuously exposed to second hand smoke would that have any bearing on the effectiveness of the IV Vit C? Yes, absolutely! The oxidants from cigarette smoking or second hand smoke lower the vitamin C levels in the blood. It is extremely important that you stop smoking or limit your exposure to second hand smoke. Will my insurance cover the costs for the IV Vit C infusions? In most cases no. Alternative medicine doctors have to use alternative medicine billing codes which are normally not recognized by insurance companies, also the Iv Vit C infusions are not FDA approved which is another reason why insurance companies will not cover the costs. In general the Iv Vit C infusions cost anywhere from $150.00 -$200 each depending on the integrative medicine practice. Although we have heard if you are able to have your oncologist do the Iv Vit C infusions that they can use their conventional bill coding although there is a chance the claim will be rejected and you will end up paying out of pocket anyway and cost is sometimes quadruple than what it would be at an integrative medicine practice. How important is my diet and oral supplementation? Diet plays a huge role in Our physicians protocol. The treatment is a three legged stool approach: diet, oral supplements, and the IV Vit C -chemo or radiation would be the 4th leg. She highly recommends the book “Beating Cancer with Nutrition” by Patrick Quillin. Oral supplements are recommended on a case by case but baseline supplements would be Vitamin E, Vitamin A, and powdered ascorbic acid to tolerance.